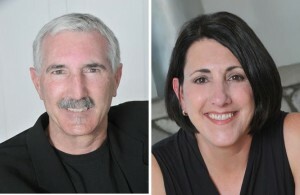 The featured presenters will be Kenneth M. Nowack, PhD and Denise Nowack, RD. LANCASTER – Stress is a daily part of life. Sometimes it can be healthy, but when you can’t control it, stress can lead to frustration, anger, hopelessness and depression, especially when living with a chronic disease such as multiple sclerosis (MS), experts say. Studies show rates of depression are up to three times higher for people diagnosed with MS than the general population. With this in mind, the National Multiple Sclerosis Society is bringing a free program to Lancaster to give people with MS the tools needed to manage stress and nutrition, and to improve overall health and wellbeing. “Keep Your Wellness Plan Alive: Managing Stress and Nutrition” will be held Saturday, Feb. 1, from 10 a.m. to noon at the Greenhouse Café, located at 1169 Commerce Center Drive in Lancaster. Those in attendance will learn quick and easy ways to manage stress and integrate healthy eating into everyday life. The featured presenters will be Kenneth M. Nowack, PhD and Denise Nowack, RD. Kenneth is a licensed psychologist specializing in employee health promotion/wellness and stress management, along with career leadership development. Denise is a registered dietitian who has focused her work the past 16 years on those living with MS. She is the author of Food for Thought and is a contributing author for the Health Living section of Momentum Magazine. She also serves as Executive Vice President of Programs, Services and Advocacy for the National MS Society, Southern California & Nevada Chapter. The “Keep Your Wellness Plan Alive” program is free, but pre-registration is required. Call 661-321-9512 or visit www.nationalMSsociety.org/calcalendar for more information or to sign up.